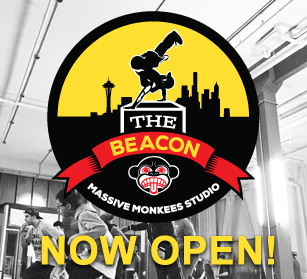 Moksha and Massive Monkees Studio:The Beacon have teamed up to bring the neighborhood regular and accessible yoga classes. 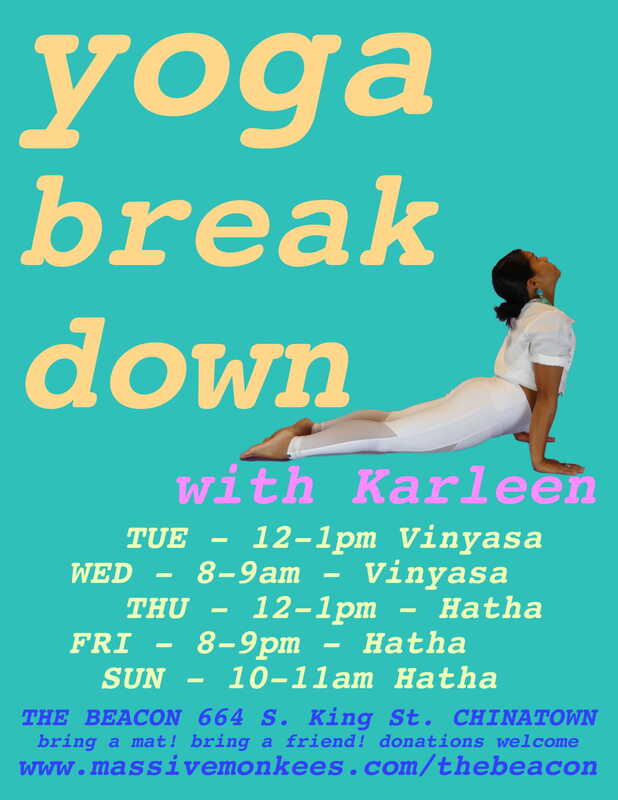 We invite you to join us for Yoga Break Down, a 60-min class of either Hatha – slower paced, focusing on breath in individual poses, good for beginners or Vinyasa – flow, a quicker pace, focusing on breath synchronized with movement, good for intermediate + advance. Classes will be led by Karleen Ilagan, co-owner of Moksha, held at The Beacon. Karleen has been practicing and teaching yoga for over 10 years, certified in Hatha and Power Vinyasa. For the rest of May, classes will be donation based as we figure out what days and times work best for the community. All are welcome, we are looking for community input!